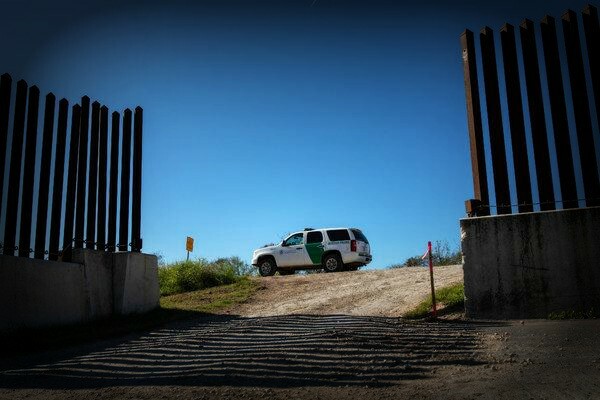 Recently, there’s been a lot of discussion concerning how the US should tackle the issue of border security along the southern border with Mexico. This issue has gained exposure, and notoriety, specifically due to President Trump’s demand that Congress authorize funds for his proposed wall along the border. The border security issue was the primary sticking point in the negotiations to reopen the federal government after it had been in a partial shutdown for over a month. President Trump and congressional Democrats remain deadlocked in a tense disagreement on how to solve the border security issue. Democrats say that having a wall along the southern border is a “non-starter,” and they also argue that Trump should open the government first, and then they can have talks on border security issues. Democrats have long advocated for better surveillance technology and more resources at the ports of entry on the border. President Trump and his allies have argued that a border wall along the US-Mexico border would prevent an “onslaught” of immigrants crossing into the US illegally. Will Herd, the G.O.P Representative out of Texas, provided a possible solution which could potentially solve this issue in a sensible way. The vendetta here is would lawmakers and the public approve of Representative Hurd’s “smart wall” proposal, as a sensible solution in order to solve the issue of border security? According to a recent Pew Research Center survey, which polled Americans on the current stalemate over the border wall funding, about 88% of Americans say it would be “unacceptable” for Congress to include border wall funding in a deal to reopen the government. Whereas, 72% say that it’s unacceptable for Congress to not include wall funding in a deal that reopens the government. Pew Research Center also cites a March of 2018 survey that says that Americans prefer politicians who stick to their positions, rather than compromise in a negotiation. 53% of Americans supported this stance, while 44% opposed it. House Democrats are reportedly open to funding technological advances when it comes to border security. House Majority Whip James Clyburn says that Congress would use the 5.7 billion in funding for border security technology, rather than for a physical barrier along the southern border. Clyburn said that Congress should implement a use for “drones, X-rays, and sensors” in order to deal with the issue of border security. This shows that lawmakers are considering similar solutions to what Representative Hurd is envisioning when trying to solve this issue. One of the complicated things about implementing something like a smart wall would be how exactly would it be implemented along the border, and what kinds of accessories would be needed in order to get the best use out of it. Another thing to ponder with this solution would be to make sure that this structure doesn’t malfunction when it’s in use, or to make sure that it doesn’t harm someone that it’s trying to read on its scanner. I think the best way to solve border security is to implement a variation of Representative Hurd’s smart wall proposal. I think the public can get behind this solution as well. This is a common sense and more technologically advanced driven solution to a complex issue. I believe that Republicans and Democrats can rally around this proposal, however, the question remains how exactly this “smart wall” can be built so that is being used to the best of its abilities. President Trump and Congressional Democrats reached an agreement with Congress to have a three-week spending bill to reopen the government while negotiations continue over border security. I hope that President Trump considers a similar proposal that Representative Hurd envisioned when trying to solve the issue of border security.